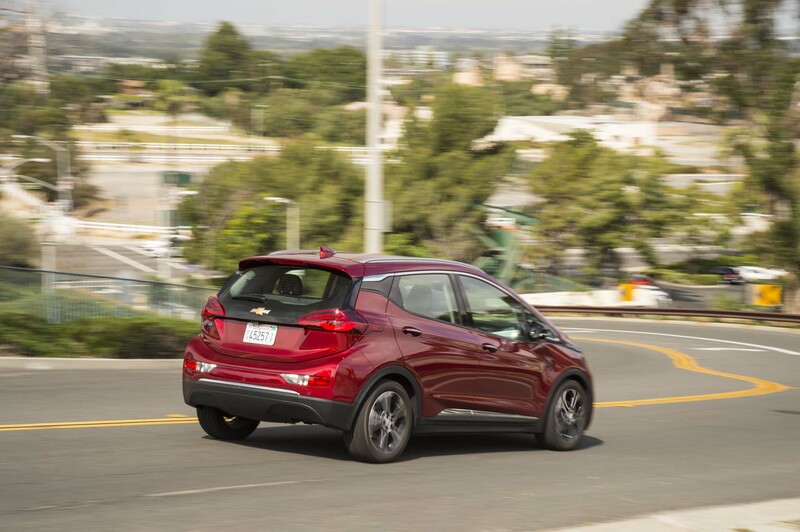 The Chevrolet Bolt EV changes your refueling routine full-stop, but when it comes to how you drive the car, you've got options. You can put it in Drive and go right on driving like you would any other vehicle, or you can drop it in Low and take advantage of its regenerative braking capability, which completely changes the way you drive. 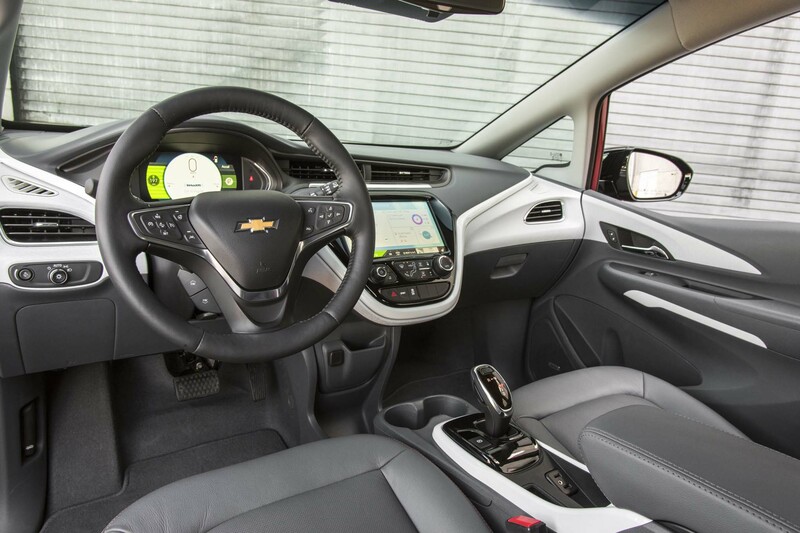 Chevrolet calls it “one-pedal driving,” and as much as I hate repeating marketing slogans, that's really the best name for it. The level of regenerative braking in Low is aggressive enough that, once you learn to time it right, you almost never touch the brake pedal. 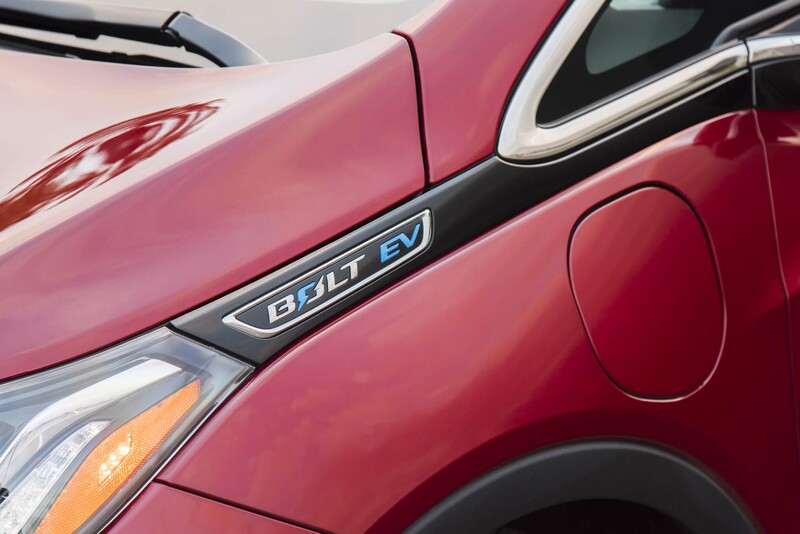 Unlike most other EVs, the Bolt's regenerative braking will slow the vehicle all the way to a complete stop given enough room. To find out how just how much room exactly, I asked the test team to do two extra braking tests in addition to our standard emergency stop from 60 mph. First, I had them stop from 60 mph using only the regenerative braking provided by the Low mode. Then, I had them use a combination of both the Low mode and the regen on-demand paddle on the left side of the steering wheel. 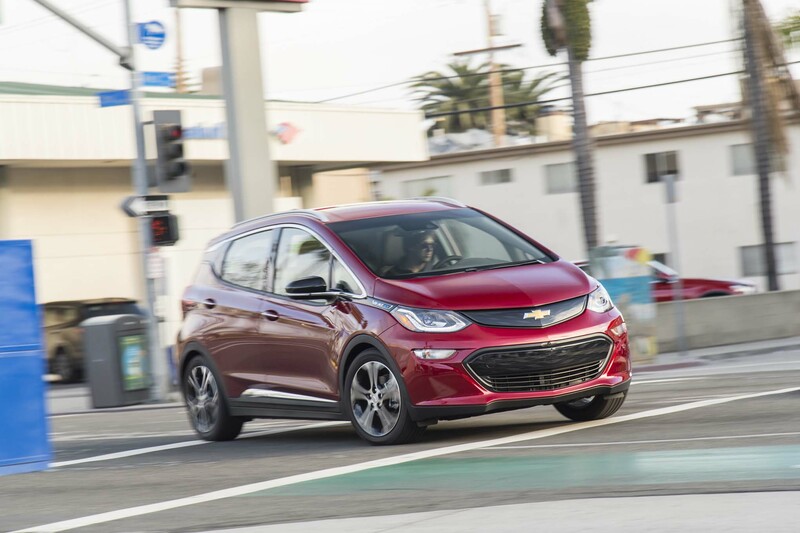 Using the brakes, the Bolt will stop from 60 mph in 128 feet. Using only Low mode, it stops from 60 mph in 665 feet. Using both Low mode and the regen on-demand paddle, it stops from 60 mph in 528 feet. Obviously, then, neither Low or Low plus paddle are useful in an emergency, but in everyday driving, they're super useful. The amount of regenerative braking provided by Low mode feels about the same as engine braking in a manual transmission car (not a squishy automatic that unlocks the torque converter and practically freewheels). As such, you generally lift off the throttle in Low mode at about the same time you would have anyway if you were driving any other car. But rather than step on the brakes, you just let the regen handle it. It's like downshifting to slow down, only better. What makes it better is it's variable. Regenerative braking begins as soon as you've reduced the throttle below the point of maintaining your current speed (not accelerating or decelerating). From that point on, the more you release the throttle pedal, the more regenerative braking you get. Maximum regen happens when your foot is all the way off the pedal. If that's not enough, you can grab the regen on-demand paddle for extra stopping power. If you're getting too much, add some throttle back in. Depending on whether you're coming to a stop or just slowing for traffic, you end up doing a lot of modulating of the throttle pedal to get your braking distance perfect, the same as you would using the brakes but without switching pedals. Getting used to controlling both the acceleration and deceleration with the same pedal takes a little bit of practice, as does learning when to start engaging the regen and how much to give it. Then there's the matter of when to use the regen on-demand paddle and how long to hold it. Finally, there's the unexpected situations, such as when a light changes before you were expecting it to and you need to slow down quickly. How long do you stay in regen before you go to the conventional brakes? Luckily, it's all pretty intuitive, and I was driving with regen regularly within the first few days. 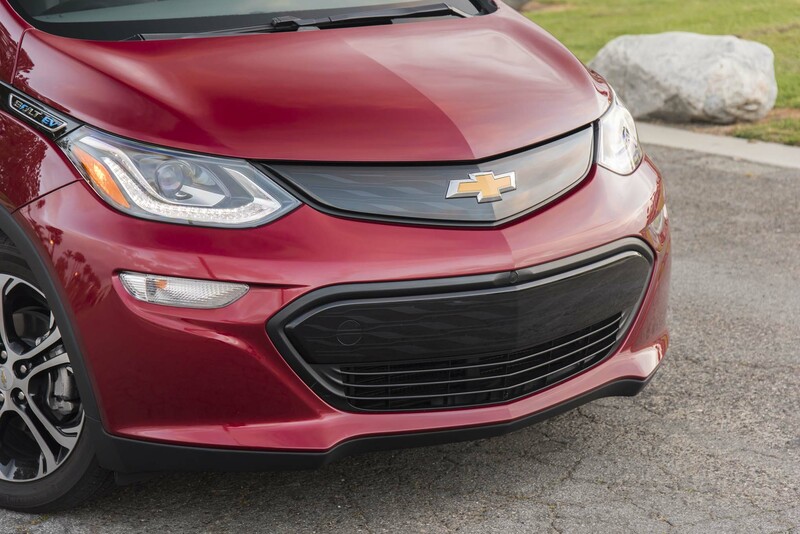 Some of that is personal experience with other electric cars, but it's not hard to get used to even for a rookie. I like one-pedal driving so much, I drive the car exclusively in Low mode. As far as I'm concerned, every time I use the regenerative braking I'm getting free electricity. Yes, physics majors, I know I'm just recapturing energy I've already expended accelerating, but in a gasoline-powered vehicle, that energy is gone. In an EV, I can get some of it back. It's like someone pouring a little bit of gasoline back in your tank every time you hit the brakes. I don't have data to show it's extending my range by any meaningful amount, but even if it's just a mile, it's a mile I couldn't have otherwise traveled. I also enjoy the challenge of it. Getting my timing just right so I don't have to modulate the regen but let it slow me down exactly as much as needed is rewarding in its own little way. I also like to use it when I'm driving quickly. Because I'd be modulating the brake pedal the same way I am the regenerative braking, I can use it to slow precisely as much as needed for a corner while also extending my range. 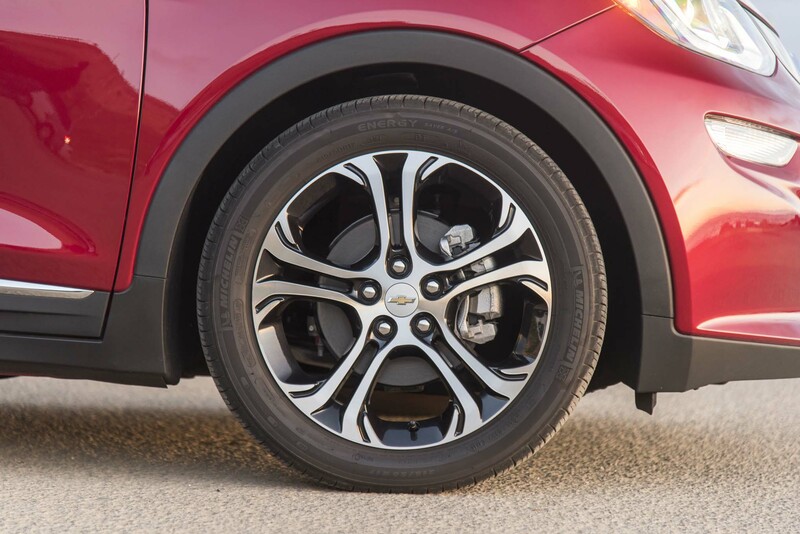 At full regen, it applies just enough braking force to make the front tires start to squeal if you trail brake it, so it really is useful when driving quickly. The one downside: long drives. 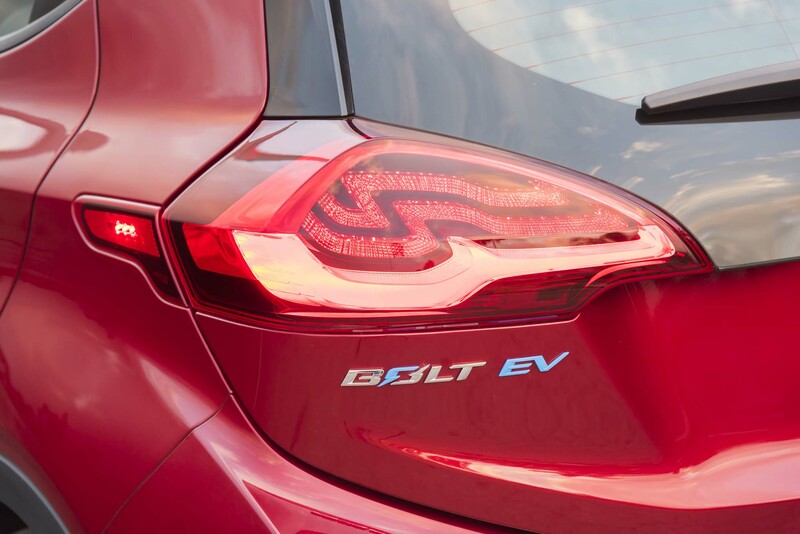 The Bolt doesn't offer adaptive cruise control, so if traffic is too heavy for standard cruise control, you'll be working the pedal a lot over an extended period of time. Because the pedal is spring-loaded, it's always pushing back against your foot so your muscles are always tense holding it exactly where you want it so as not to engage the regenerative braking. After a while, my ankle starts to get pretty stiff. To alleviate it, I switch the car out of Low to Drive so it'll coast while I take my foot off the throttle and stretch my ankle.